Accept an offer from Wittenborg University by signing the Study Agreement and paying the fees by the date as stated on the invoice. In some cases, students may not yet have completed their final high school year before applying and being accepted to a bachelor's degree course. These students are often provided with a conditional offer (Conditional Acceptance Letter). 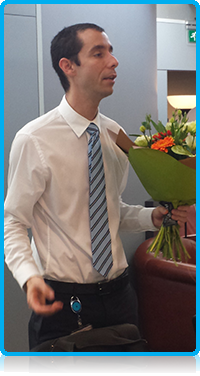 Master's degree applicants can also be given an offer on condition that they complete their current bachelor's degree. Welcome to the Student Support Office! Wittenborg has two types of student tutor support systems, one for academic issues and one for non-academic issues. The University has an open door policy which means that students find all staff easily accessible during office hours on the days they are working. Also Wittenborg Online and Office365 make it easy for students to contact the correct staff member about any issue. 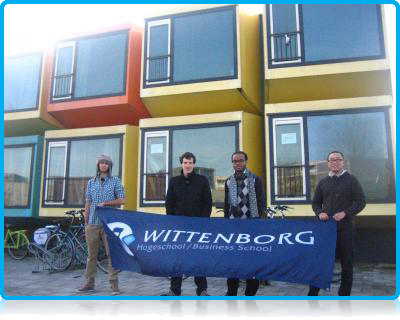 Wittenborg is also small enough to allow students to have easy and direct contact with management, if they wish. Start of Block 3 sees a new cohort of students starting their bachelor degree programmes at Wittenborg University.. but how does the block system work? Read more about Start of Block 3 sees a new cohort of students starting their bachelor degree programmes at Wittenborg University.. but how does the block system work? Immigration Agency updates its information about the new Visa and Residence Card Procedure. Read more about Immigration Agency updates its information about the new Visa and Residence Card Procedure.